Nice post, very useful. I assume you can use this to refresh Data Explorer queries as well? Because that would be great! 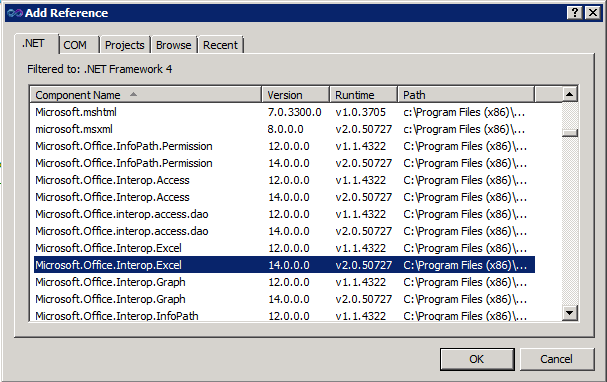 SSIS and Data Explorer working together, because Data Explorer can easily handle some sources SSIS is having trouble with. 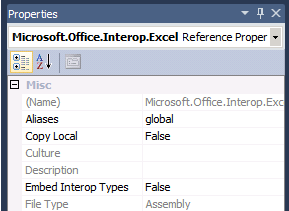 "Interop type 'Microsoft.Office.Interop.Excel.ApplicationClass' cannot be embedded. Use the applicable interface instead.C:Usersv-labernAppDataLocalTemp3VstaSSIS_ST110Vstaa0g_GqLLAUKVI5Qh9iJUgAVsta3Qj6FXpFoUeOs0D3X2z87QScriptMain.cs12963ST_1928fa4ea8ff431988bf39f246c51051"
Also, is there some step by step guide on how to disable "Embed Interop Type" option within Project Explorer? How to open Project Explorer? Thanks for this technique Matt – very elegant. @John – while editing the Script, find the Solution Explorer pane (or open it from the View menu), then expand the References node and choose Microsoft.Office.Interop.Excel. Then open the Properties pane and look for "Embed Interop Type". Appreciate you could elaborate your steps again using visual studio 2013. I am having problem to find how to ADD REFERENCE. Hi Tommy – you should be able to right click on the project name in the Solution Explorer (from within the Script Task), and find the link there. The objective is to loop through a folder and refresh all the excel file sin the folder. I have exactly the same code you have for ExcelRefresh(string filename) in a script task in SSIS package. It worked very well when I had it in SqlServer 2008 but when it was upgraded to SqlServer 2012, using Visual Studio C# 2010 and didn’t changed any of the code below, it worked and refresh the worksheet but it does not close the file. Hence the server has all these files still open and consuming the memory and eventually it ran out of memory and failed. I would really appreciate if you can help. Thanks.